So September is National Honey Month (who knew?) 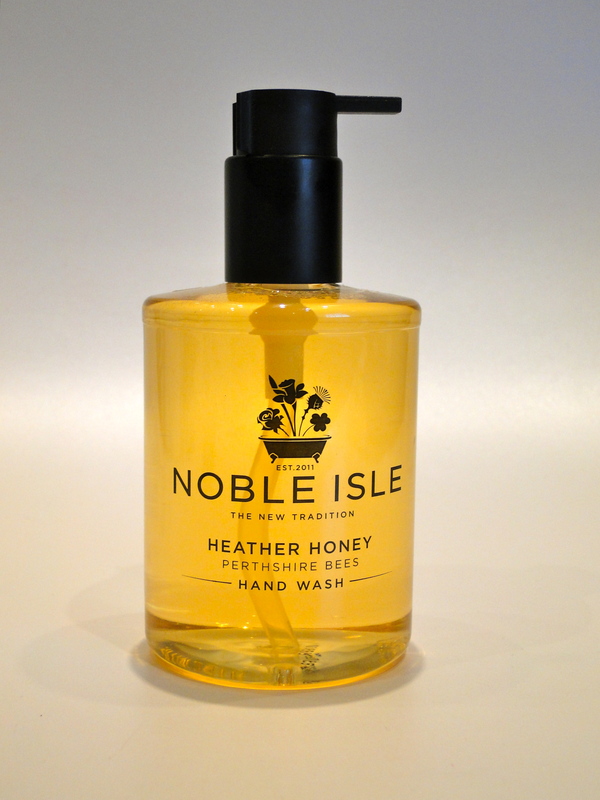 and I can’t think of a more luxurious way to celebrate than with Noble Isle’s divine Heather Honey Hand Wash (try saying that three times fast). Packaged in the brand’s sleek signature packaging, with a convenient pump dispenser, this isn’t your run-of-the-mill hand wash. Instead, Noble Isle have created a formula which feels super luxurious, and doesn’t leave your hands feeling dry or stripped. Instead, you’re left with a scent which I would wear as a perfume – a orange blossom, bergamot and honey creation which is a light, fresh floral. The brand has stayed true to its British roots with their Perthshire honey, from a farm which has specialized in the stuff since 1945. Not only does the honey give a sweetness to the formula, not to mention the gorgeous golden colour, but it has natural anti-bacterial properties which seem tailor made for use in hand products! With the coming flu season, arm yourself with this and the matching hand lotion, and you’ll be set for winter!